Keoladeo National Park in Bharatpur, Rajasthan, India, was declared to be a UNESCO World Heritage Site in 1985. We visited the park on 7 and 8 March, 2006. We saw a lot of wildlife, including many different species of birds, plus wild dogs, deer, snakes, and more. The park is an important bird sanctuary. The wetlands host many transitory birds during their migration, as well as several impressive heronries where hundreds of water birds raise their young during the breeding season. The bird species we saw, as well as details about visiting the park, are mentioned in a separate article on our sister website, Magnificent Frigatebird. In addition to the birds we saw several animals. 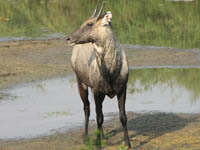 The Nilgai (Boselaphus tragocamelus) is India’s largest antelope. The animal is sometimes called a ‘blue bull’, referring to the males’ steely-grey coloring and the distinctly bovine face. 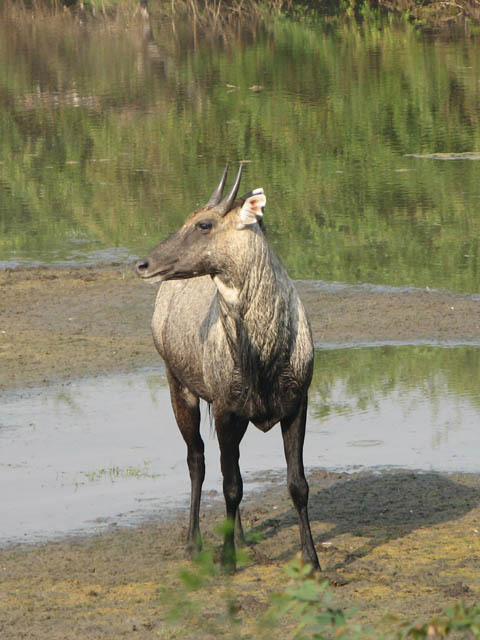 The Nilgai population in India is widespread; they are found all over the country except in the extreme south and in the higher elevations by the Himalayas. The Spotted Deer (Axis axis) is India’s most common deer out of nine total species. Males grow impressively large three-tined antlers. 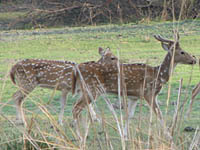 The Hindi name for Spotted Deer is Chital. 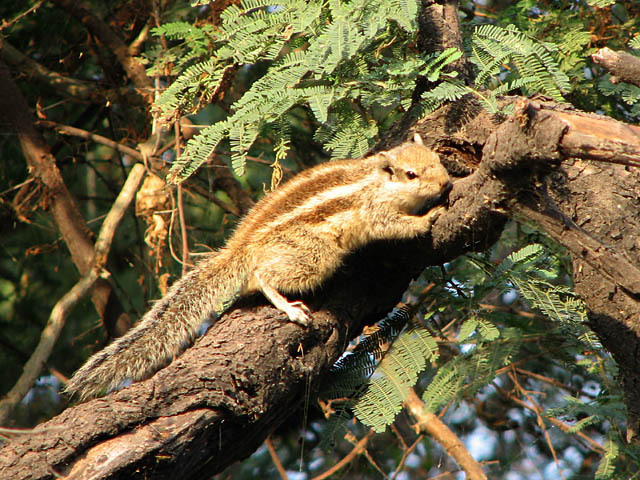 The Five-Striped Palm Squirrel (Funambulus pennantii) is a bold creature, found all over the northern half of India. 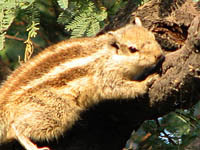 The similar Three-Striped Palm Squirrel (Funambulus palmarum) is found in the southern half of the country. The Dhole (Cuon alpinus) is a species of wild dog found across South Asia, North into Central Asia to the borders of Russia, East to Malaysia and South to Sumatra, India and Java (island). 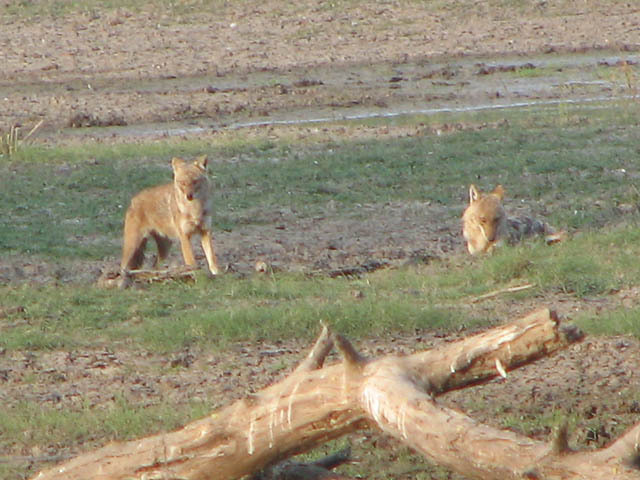 Dhole is the Hindi name for the animal, it is also known as the Asiatic Wild Dog. 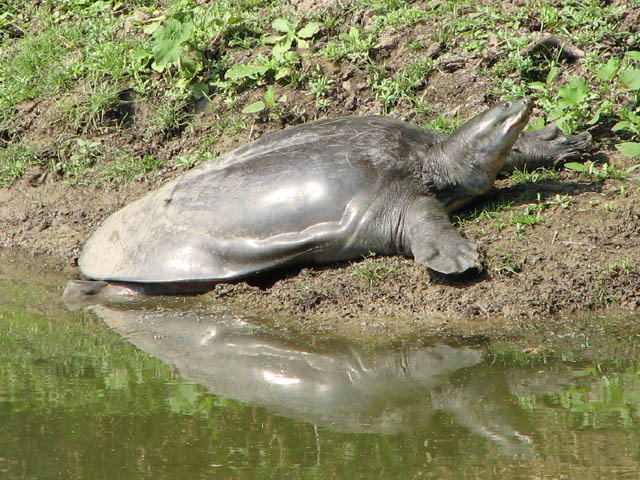 We are unable to identify the turtle we saw. 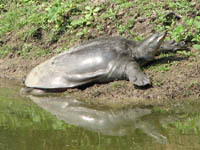 It is possibly a Ganges Soft-shelled Turtle (Aspideretes gangeticus) but we are not sure. 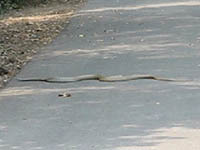 The Common Krait (Bungarus caeruleus) is a snake found in Indian jungles. It is also sometimes spelled Crait. 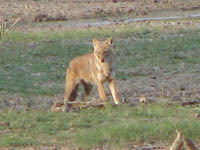 We saw this creature as it silently crossed the road as we were leaving the park on 8 March. We had just passed a large group of people who were excitedly looking at something out on the water. We tried to figure out what they were seeing but could not see anything extraordinary. Just as we turned to continue up the road, a bit dejected, Arthur saw the snake and called me so I wouldn’t miss it. 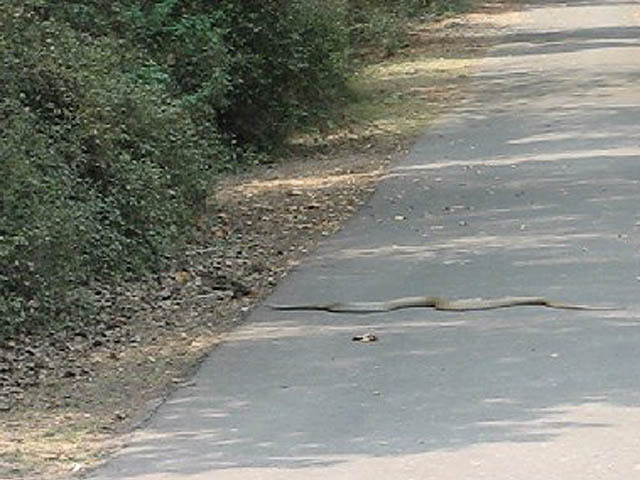 I managed to shoot a short video of the snake as it slithered across the road. The above image is a screen shot from the video. We also saw an Indian Grey Mongoose (Herpestes edwarsii) in the park, but were unable to capture it on film. In total there are at least six species of mongoose found in India. The Grey Mongoose is the most common. Finally, here is a short video of a Nilgai as it munches from some trees and wades to another island. This entry was posted on Saturday, April 15th, 2006 at 9:36 am CET and is filed under Nature, Travel	with tags . You can follow any responses to this entry through the RSS 2.0 feed. You can leave a response, or trackback from your own site. Very nice video, and the the exotic sounds too. Nice job… Keoladeo is really a fabulous sanctuary. we provide best service in ranthambore Run by a best team, Hotelanantapalace is one of the finest hotels in ranthambore.